Lance-shaped fronds, each with a slightly wavy edge, form a distinctive shuttlecock-like effect. 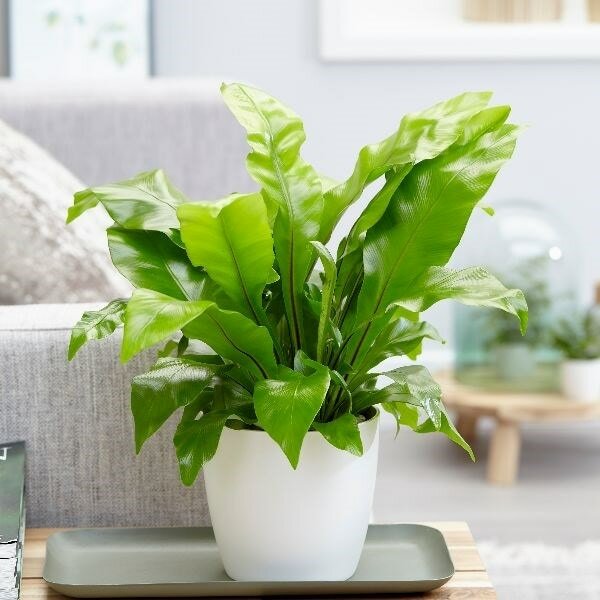 Initially the fronds of this asplenium are a light lime green, however they soon mature to a deeper, richer green. 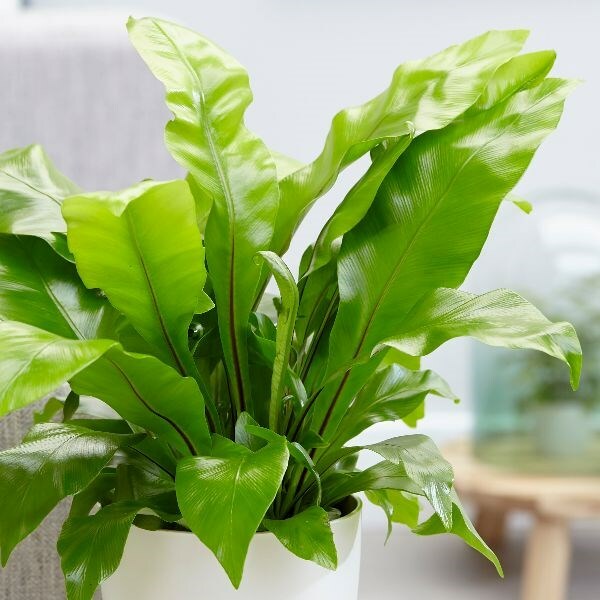 It has a really striking silhouette, so it looks good on its own, but it can also be used in a mixed indoor arrangement, where it will add structural interest to plants with a much softer leaf shape. Please note that the pot in the photograph is not supplied with the plant (which is sent out in a black plastic pot). They do however make excellent potted plants, and if you wish to pot yours up, we do have a wide range of pots on our website to choose from.